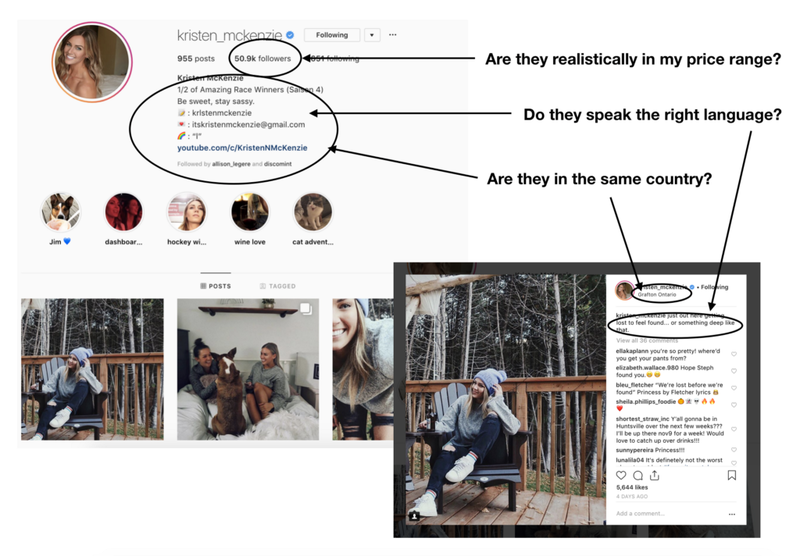 For most of us, the process of understanding what to pay a social media influencer for promoting our brand or service on Instagram is still a mystery. How are prices determined? 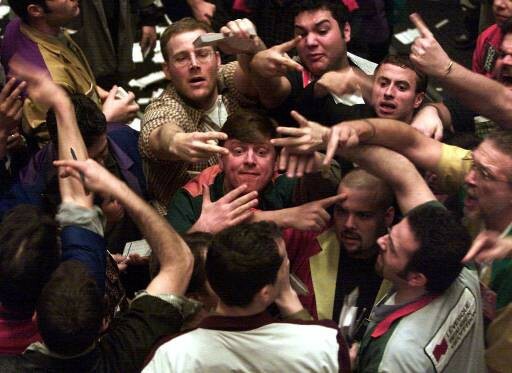 Is the price you are given a good deal or a not-so-good one? Which influencers should you partner with to get the highest return for your money? Luckily for us, there’s a way to figure this out ourselves, and it’s a pretty straightforward process. So, how do you do it?! 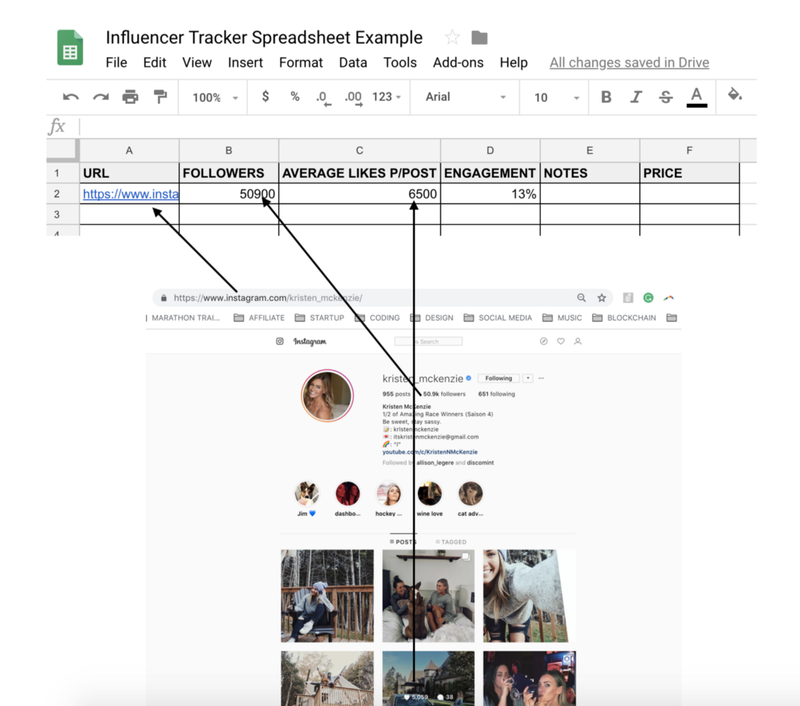 In order to measure the value of an Instagram influencer, it’s important that we first understand how influencers decide how to price a promotion opportunity. How influencers price promotion opportunities. Whenever you approach an influencer with a possible promotion opportunity, they usually determine their pricing in two ways. First, how much they like your product or service, and second, how many other comparable promotion opportunities they have available at the time that you approach them. More often than not, if an influencer sincerely likes your product or service they’ll give you a lower price in comparison to their “average” promotion price (because they provide value for their audience by promoting products/services they actually enjoy). Inversely, if they don’t really dig your product or service, they’ll likely give you a higher-than-average price (because most influencers are only willing to promote a product/service they don’t necessarily love in exchange for money, and the more they dislike it, the more money they’ll likely ask for to promote it). Similarly, if they have a large number of other comparable promotion opportunities available at the time of your proposal, they’ll likely ask for a higher price, since the demand for their offering is high (and their offering is scarce). If they don’t have many other opportunities at the time, they are much more likely to accept a lower price, since the demand for their service is low (and they want to secure a paid opportunity). What this means is that all promotion opportunities should be valued differently, depending on who the influencer is and what product/service is asking for the promotion. In other words, there is no “standard” value for social media influencers. The value of an influencer can only be measured in relation to the product or service that wants to work with them. The good thing is, there is an objective and practical process that lets you measure an influencer’s value in relation to your product or service. 1. Determine the “category” of influencer you want to work with. When I talk about “category” I refer to the kind of content an influencer talks about. Niche influencers, which concentrate on mostly talking about one (or two) specific topics (fashion influencers, food influencers, health influencers, makeup influencers, gaming influencers, etc). General lifestyle influencers, which talk about their life without concentrating one specific topic (some great examples are Youtubers like Emma Chamberlain or Ellie Thumann or entrepreneurship influencers like Ryan Carson), and those who are a mixture of both (there is a wide spectrum). The category isn’t as important in comparison to how much an audience trusts what the specific influencer has to say: Traditionally, most marketers assume that the best results come from working with influencers that create content about the same topic as your product or service. For example, most shoe brand marketers still assume they should work with fashion or streetwear influencers because they create content about the same topic as their product. The problem is that the opposite is usually true. When it comes to taking action (following a new account or buying a product from an influencer’s recommendation), people don’t care about what an influencer is talking about, they care about how much they trust the specific influencer who is doing a promotion. If an audience trusts an influencer, they’ll buy whatever that influencer recommends as long as it seems like a sincere recommendation that will bring value to their lives. If an audience doesn’t trust what an influencer says (because every other post is an insincere sponsored post), they won’t take any action based on their promotion no matter how much the topic is in line with their interests. And how do you measure how much an audience trusts what an influencer has to say? Organic engagement rates (but we’ll cover that in a future step). The more specific you are, the more likely you are to get great results: When thinking about a category, I also recommend that you be as specific as possible when it comes to the type of influencers you focus on. For example, if you make vegan menswear suits, instead of finding menswear fashion bloggers in general, you’ll get better results from finding content creators who are men over 22 years old, based in the USA, that eat vegan and have a YouTube channel. Concentrating on a super-specific type of content creator will not only narrow your influencer search (there will be much fewer content creators who are who are men over 22 years old, based in the USA, that eat vegan, and have a YouTube channel vs content creators who are just considered “fashion bloggers”), which will make you more effective with your time, but it will also help you measure value better, since you’ll be basing it off influencers who have much more comparable content (there is a very wide variety of “fashion influencers”, which makes it harder to compare their value since it’s so different across the board). 2. Find as many relevant and high-engagement influencers as you can within your category. 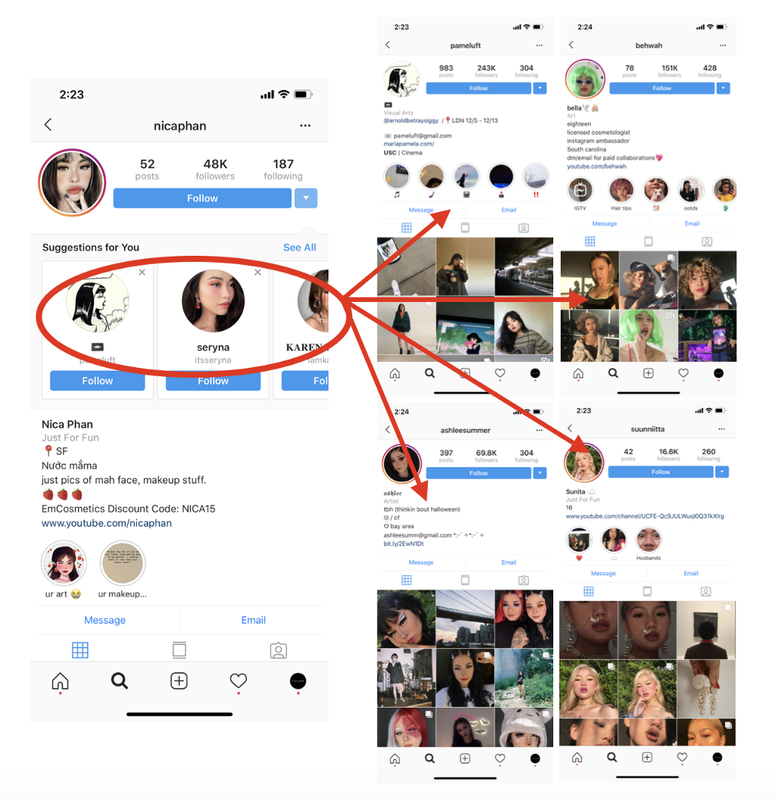 Once you know which category of influencer you want to work with (niche or general lifestyle), spend time on Instagram finding as many relevant and high-engagement influencers as possible. What is a relevant influencer? Relevant means an influencer who speaks your audience’s language, is in your country (this will make the process easier in terms of payments, contracts, etc), and within your price range (Unless you have a $100K+ budget, big influencers (500k-1M) are likely going to be outside of your price range because they usually charge thousands of dollars per partnership). Once you start researching influencers you’ll find that it’ll become easier and easier to find this information quickly (I just eye-ball it). What is a high-engagement influencer? That’s the reason you want to find the influencers with the highest engagement within a category. If there are a large number of content creators that talk about a particular topic (which there usually are), you want to spend your money on the ones who will drive the most traffic or sales per follower so you can get the best return for your dollar. Generally, influencers with engagement rates of 10% or more are a lot more likely to drive stronger results (traffic/sales/follows) than influencers with lower engagements and a similar amount of followers, so try to focus on finding influencers with at least that level of engagement. They are harder to find, but also much more likely to give you the best ROI. To keep track of them, start a spreadsheet! Here is an example of the spreadsheet I use. In my case, I like to organize my influencer spreadsheets in the following way: In the URL column you’ll place the URL of the Instagram profile (best to do this on your laptop), in the FOLLOWERS column you’ll include the number of followers of the influencers, for AVERAGE LIKES P/POST you’ll include the average number of “likes” the influencer gets in their 4th through 10th post, for ENGAGEMENT you’ll use the formula ENGAGEMENT = (AVERAGE LIKES P/POST / FOLLOWERS) * 100, in the PRICE column you’ll include the price they give you for the partnership proposal you’ll send them (that’ll be explained later), and in the PRICE PER CONVERSION column you’ll measure the estimated cost per conversion of the influencer, given their engagement and price (this will also be explained later). By hovering over a post on your laptop you’re able to see the number of likes. Doing this to measure average likes p/post will make the process much quicker for you instead of clicking in and out of posts 4–10. 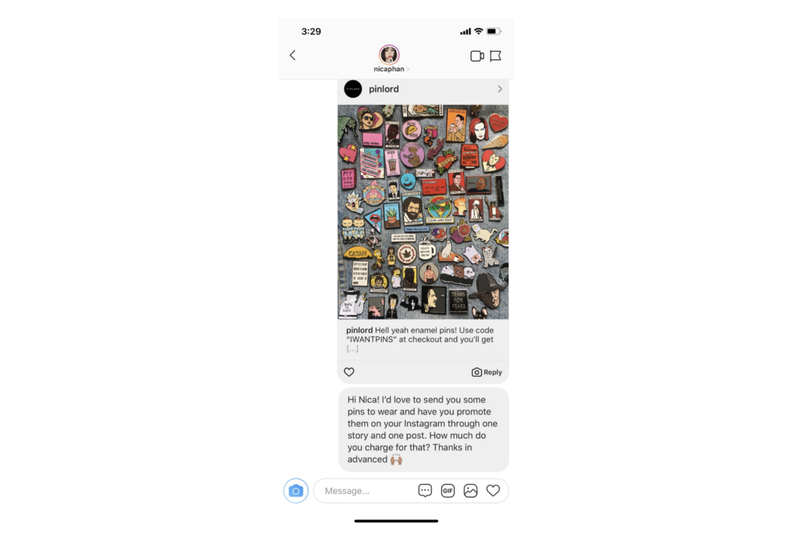 Instagram tends to show you posts from people who have high-engagement and are relevant to you on the Explorer Page because they use that page to surface the content from people that others tend are engaged with. Posts that get a lot of interactions (engagement) are the ones who tend to keep people using the app for longer, and Instagram wants you to use their app for as long as possible (because that’s how they make money). For example, I run an enamel pin business and I’m looking for stylish US-based content creators between the age of 16–25 who have a youtube channel. By searching on my explorer page, I quickly found @nicaphan, who fits all of my requirements and has an engagement rate of over 18% (that’s GREAT!). I searched through the “Suggestions for You” accounts from @nicaphan (the first account I found) and discovered over 4 other influencers (@pameluft, @behwah, @ashleesummer, @ssuunniittaa) who have great engagement and fit all my requirements. …and include all of the relevant and high-engagement ones in your spreadsheet. If you don’t find a lot of accounts with 10% of more engagement by doing that, you can search through hashtags or third-party influencer search tools and platforms, although those tend to not be as effective when trying to find high-engagement accounts. Continue this process until you find at least 25 influencers that are relevant to you and have an engagement rate of 10% or more. 3. Contact them and ask them for pricing. 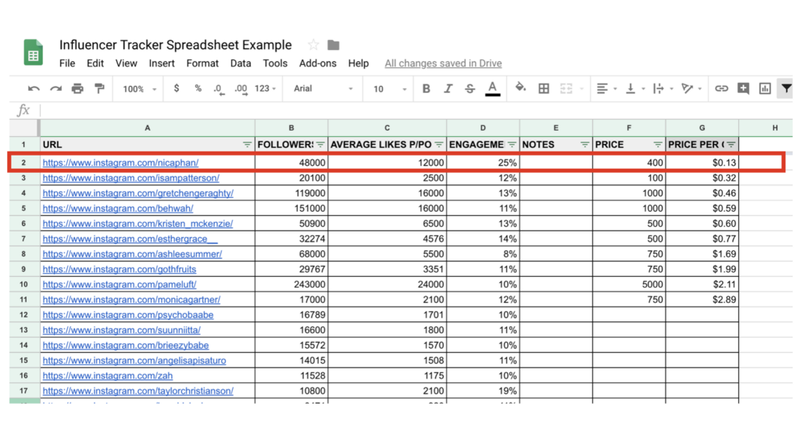 Once you have at least 25 influencers in your spreadsheet, sort them by engagement from highest to lowest, and Instagram Direct Message the top 10–20 with a partnership proposal (influencers without agents don’t tend to use email for work). In your DM, you’ll explain what you’re looking for as well as ask them for pricing. Usually, messages that are to the point, specific about the deliverables, and clearly state that the influencer will be paid tend to have high response rates. Like most of us, their time is valuable, they get a lot of inbound messages, and they don’t want to respond to people who don’t clearly state that they will be paid for their work. 4. Measure their estimated cost per conversion. By multiplying the average likes per post by the engagement you are calculating the estimated conversion rate per like, or in other words, the number of people expected to take action based on the influencer’s recommendations (the larger the following and/or engagement, the larger the number of people that take action). When you divide the price by the estimated conversion rate, you will get the estimated cost per conversion, where conversion = a person who takes action based on an influencer’s recommendation. The lower the cost per conversion, the more value you are getting. Once you’ve done that calculation, sort the PRICE PER CONVERSION column on your spreadsheet from lowest to highest, and whoever has the lowest price per conversion, all things being equal, is likely to give you the highest VALUE (ROI). In my case, after getting pricing from 10 influencers, the one who is likely to give me the most value is @nicaphan. She charges $400 for a photo and story post and her estimated value is $.13 per converted like. The second most valuable would be @isampatterson, followed by @gretchengeraghty, etc. And voila! You’ve measured the value of the most relevant influencers specifically for your brand and project! Now it’s up to you to confirm the partnership with them, measure what results you get, and how they compare to your estimates. When deciding how to spend your money, I’d recommend you start with the one that is most likely to give you the highest value and work your way down from there. Also, try to confirm partnerships with as many influencers as possible (if you have the budget), measure the results, and compare them to your estimates. When it comes to how well a partnership actually performs for you, there’s a lot of variables that come into play (like execution and timing) and you won’t know what type of influencer and what type of partnership works best for you unless you execute several partnerships. Good thing is, if you’re only working with influencers with 10% or more engagement, they’re all valuable and likely to give you the best results, compared to influencers with lower engagement and a similar number of followers. 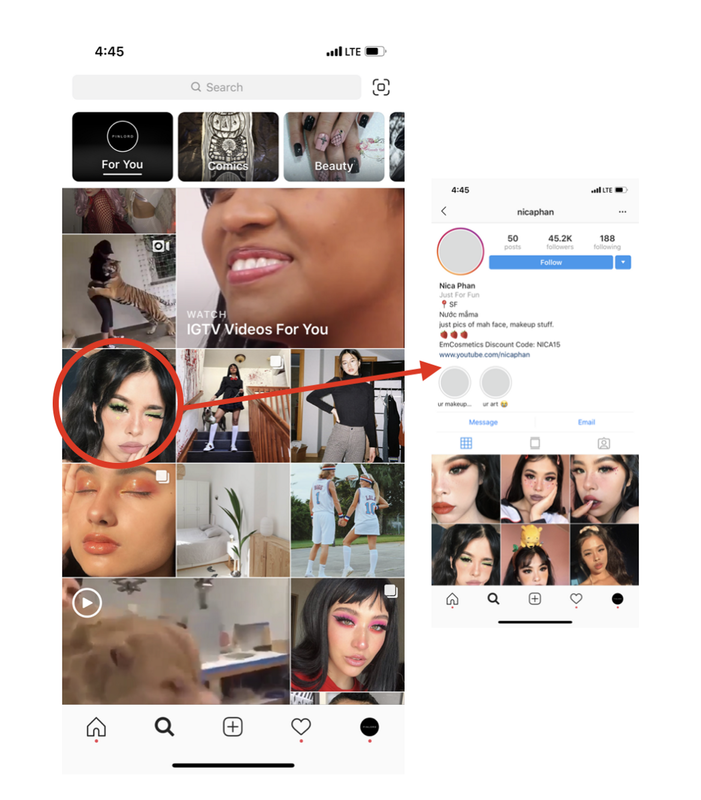 Of course, every brand, every project, and every influencer is different, so the key is testing as much as you can and as often as you can — something as simple as asking for Instagram story tags or Youtube video mentions instead of Instagram feed posts might improve your results. As long as you’re focusing on finding the people with the highest engagement, and you test enough partnerships, you’ll eventually find the influencer formula that works for you. How To Measure What an Instagram Influencer is Worth. was originally published in Hacker Noon on Medium, where people are continuing the conversation by highlighting and responding to this story.